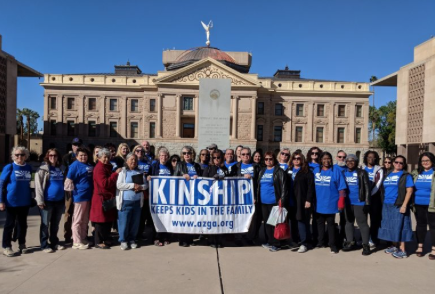 Arizona Grandparent Ambassadors at the State Capitol, February 2019. Courtesy photo. All children who live in foster care require financial support so their temporary families can provide them safe care and bring stability to their lives. But children removed from their homes by the Department of Child Safety (DCS) and placed with relatives or family friends – known as kinship families – are often missing the support that comes to licensed foster families. Our new brief, How a Double Standard of Safety Can Hurt Children in Kinship Foster Care, details how the lack of financial support and barriers to licensing hurt thousands of children.